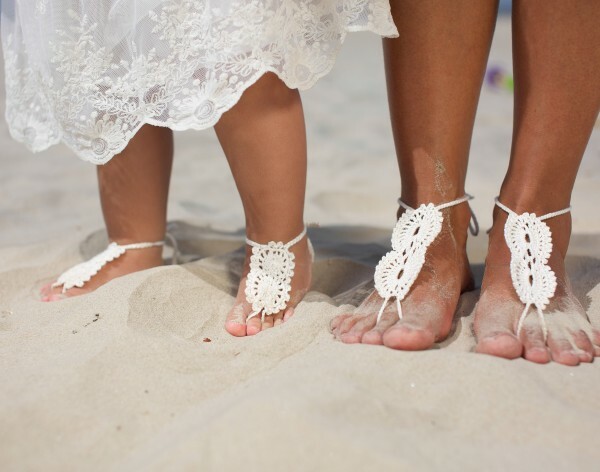 From your family photo shoots to beach-wedding flower girls, these elegantly hand-crocheted footless baby and mother sandals add a touch of elegance and charm to your little one’s and your look! 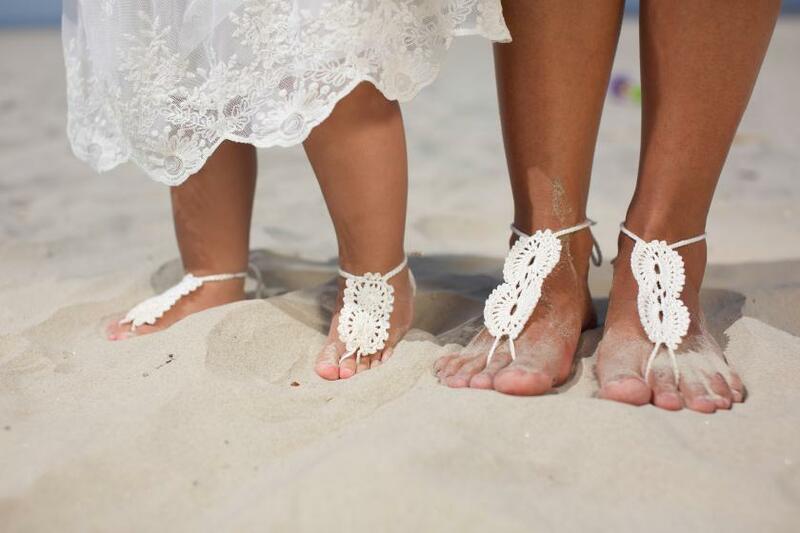 Lace footless sandals are comfortable for non-walkers and older kids, too, and they look so lovely with the ruffles and twirls of sweet baby clothes. With an adaptable fit and 100% cotton content (no synthetics for baby skin! ), these lace sandals are safe for small feet. They loop over one toe and tie easily around the ankle, offering a comfortable feel and a graceful look. You will receive two pairs. Just choose your child’s size from the drop-down menu when you order. The adult ones is one size fits all. And let us know if you’d like a custom pair in the colors of your choice!